The Falconer girl’s basketball program continued its Hospice winning streak. 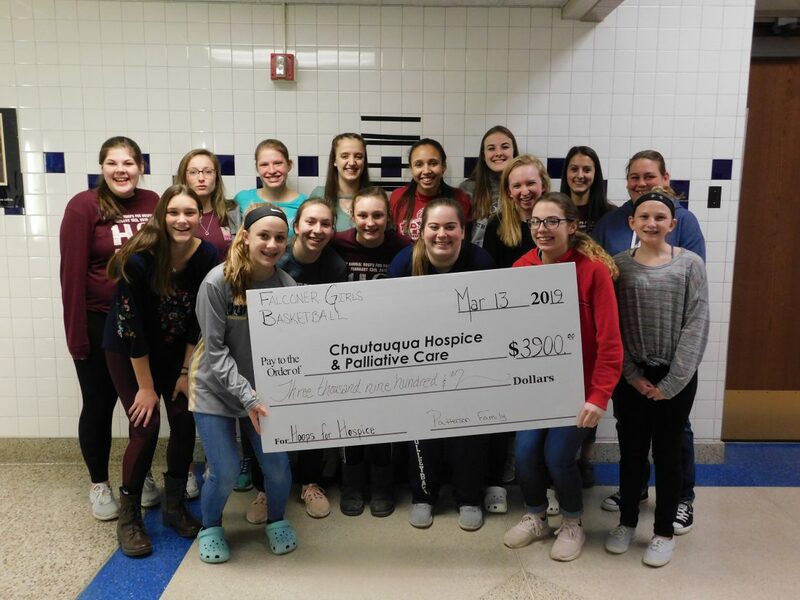 The Hoops for Hospice event on Feb. 14 raised over $3,900 for Chautauqua Hospice and Palliative Care bringing the nine-year total to nearly $24,000. Every year the Falconer community has generously rallied around their JV and varsity girls basketball program and fundraiser. However, this year a very special person inspired the Hoopers. Dorotha “Kay” Patterson, an avid Falcons booster, passed away on Jan. 19. Kay was also the grandmother of eighth grade JV hooper, Kayla Lynn. When Kay lost her battle to cancer just weeks before the Hoops for Hospice event, she would naturally be the one memorialized by this year’s event. Kay and her husband Frank moved to Falconer in 1968 and raised their four daughters there. The couple were both very involved in various youth sporting programs during those early years and beyond, coaching teams and helping to build strong programs. Kay was even known to video tape games so that the tapes could be used as coaching tools for game planning. The event wouldn’t happen without the help of volunteers. That’s when Kay’s four daughters, Tammy Yager, Tanya Destro, Kim Patterson and Billie Lynn stepped up. 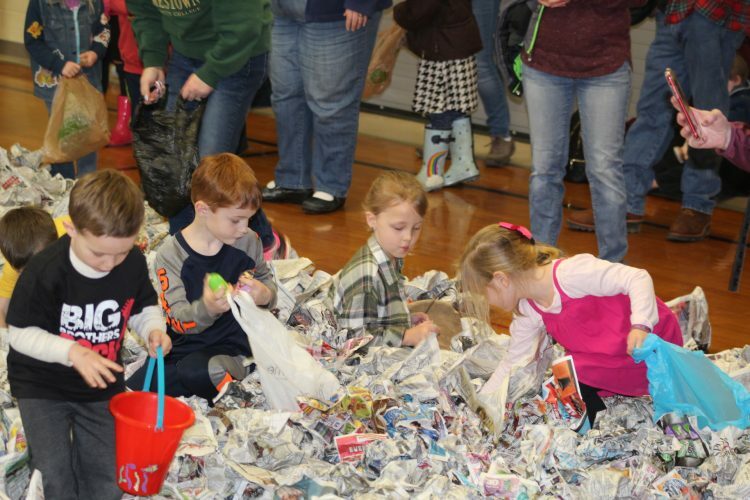 With their mother’s struggle as the backdrop, they led the effort to round up donations and contributions. All of Kay’s nine grandchildren helped set up and run the event.